Taking a few moments to read the following questions to ask a painting contractor could save you both money and frustration by avoiding a bad contracting experience. The fact is, painters, range in the quality of services they provide, and there are many inexperienced, unlicensed and unqualified people and companies that masquerade as professional painters. Many homeowners are so focused on “how much” that they never even consider anything else. This can lead them to hire the wrong company. This document is about putting the power back into YOUR hands! Here are ten deadly questions to ask a painting contractor to help you quickly separate the professional contractors from the ones you want to stay away from. Comprehensive Business Liability, which protects your property from damage by the contractor. A million dollar limit in liability coverage is probably the minimum any painting contractor should be carrying. Workmen’s Compensation, which protects the workers and you (from liability), while they are working on your property. Workmen’s compensation is very costly, so many painting contractors will try to work without it. Just tell you that they are insured, hoping you won’t pursue it further. Be especially careful of contractors without workmen’s compensation. It is expensive, and many contractors will attempt to trick customers into thinking they have it, or they don’t need it for some reason. Don’t be fooled. Planning to renovate your house? Kukun can help. Estimate your renovation cost today. Ask for the name of the company that provides the background check services. Ask to see examples of the reports they provide. If they can’t provide answers (or the answers sound suspicious), it’s best to avoid that contractor. The contractor may be tempted to find subcontractors offering the lowest possible fee so they can make more money on the job. This can translate into low quality of work. Since the subcontractor gets a fixed fee and is not paid hourly, they may be tempted to cut corners to get the job done quicker. If the contractor uses subcontractors and not employees, it increases the probability that they do not have workmen’s compensation insurance. The contractor may not know the people on the crew, which makes it likely that background checks have not been performed. All of these scenarios can impact the quality of work you get as well as the safety of your home and belongings. For this reason, it is better to hire a contractor whose workers are true employees. Can I see a sample of an employee’s check stub? Who does payroll for your business? The quality of materials used on your project will impact how it looks and how long it lasts. There is a huge difference in quality among coatings like paints and stains. There are also many specialized coatings that should be used for specific applications. 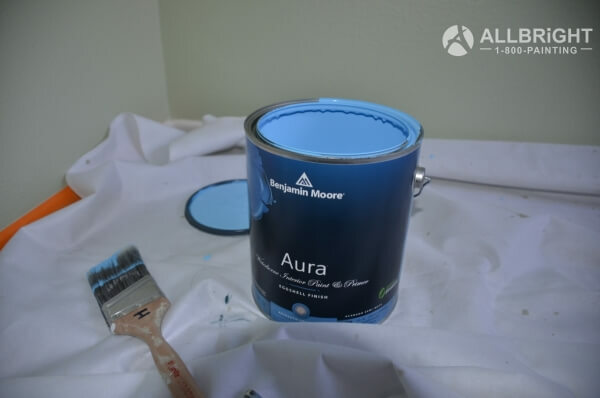 Differences in the costs of a $9 gallon of paint versus a $50 gallon of paint represent real differences in the ingredients, with a higher-priced paint having more expensive ingredients that look better and last longer, such as resins, binders, and even titanium. In addition to coatings, the quality of other materials matters too. For example, the quality of calk your contractor uses impacts its lifespan. The bottom line is that you should ask for details about the products that will be used on your project while also making sure that the contractor understands what they are using and why. The biggest trick is not to specify the types of material to be used on your job and use the cheapest materials available. This saves the contractor money while impacting the quality and lifespan of your paint project. Ask about the materials that will be used and make sure they are specified in writing. Often times you will meet with the renovation estimator or owner before the project begins, but they will not actually be performing the work. This is fairly common, and nothing is wrong with it, provided that the company has a system for managing your project. A professional proposal that is detailed with specifications that list the services you have agreed to have performed and can guide the crew during their work. All changes to the project (additions or deletions) communicated in writing and signed by both parties. A system for the crew to check and cross-check their work. An end-of-project walk-through where the project manager walks the job with the client to assure satisfaction. This is an area where there are fewer tricks and more poor business practices. If the bid is low, you can be assured the painter’s pay is low; they have no benefits and not much incentive to do a great job. How can a project be professionally managed when there are no professionals working on the project? It helps to assure a consistent, high-quality product. It allows projects to be completed in a timely manner. It reduces accidents and mishaps. Before hiring, find out if the company trains its employees. However, a contractor could say yes, and you’d never know the difference. They may also say “we train in the field” – does that mean that the painters will be learning and make mistakes on your job? How do you conduct training? How often do you conduct training? Have the owners, managers, and estimators attended classes or additional training in the past year or so? Accidents on the job are highly disruptive, causing delays or even complete halts of the work. With or without an accident, unsafe work practices can cause damage to your property. The best scenario is to avoid mishaps in the first place, and the best chance for that to happen is if the contractor takes safety seriously. This can include a written safety policy manual, regular safety training, and an overall culture of safe work practices. The best way to avoid getting tricked here is to have the contractor show and tell. Ask to see their safety policy manual. Don’t accept answers like, “it’s at the printers,” or “my sister-in-law is retyping it as we speak.” Ask about the contractor’s safety training, including how often, where, who attends, and the like. Membership to organizations like the Better Business Bureau (BBB), the local chamber of commerce and trade associations demonstrate that the company is stable, and the contractor is committed to his or her trade. BBB membership requires a small yearly fee, and it demonstrates that the contractor is confident in the company’s service record and doesn’t mind if potential customers want to check them out. Membership at the local chamber of commerce or other community organizations demonstrates stability and that the company cares about the community. Membership in trade association shows a commitment to delivering the highest quality in painting services. Such associations often provide education, training, technical consulting, and a written code of ethics. 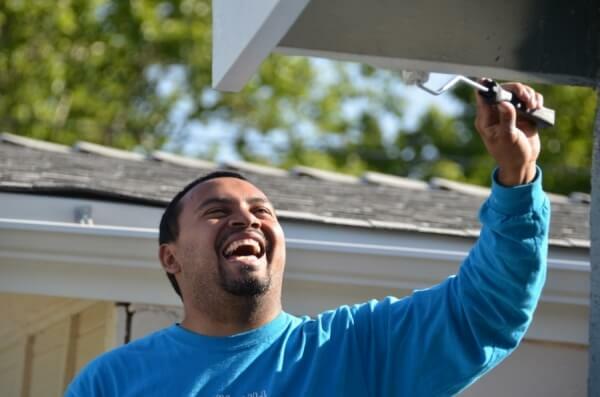 Professional painters are well-established and committed to their trade and to their communities. Membership in organizations is just another way to pick them out from those companies that aren’t as qualified. How does the company compile references? How do you determine who gets on the list? Did the company get permission to use the names on the reference list? How old or new are the names on this list? 1-year warranties are common and okay, provided that the work is well done. Most paint failures will show signs within the first year anyway. 2-3 year warranties are also common. Anything above that and you should look closely at the fine print. A decent warranty by the contractor will provide both labor and material for a covered defect. 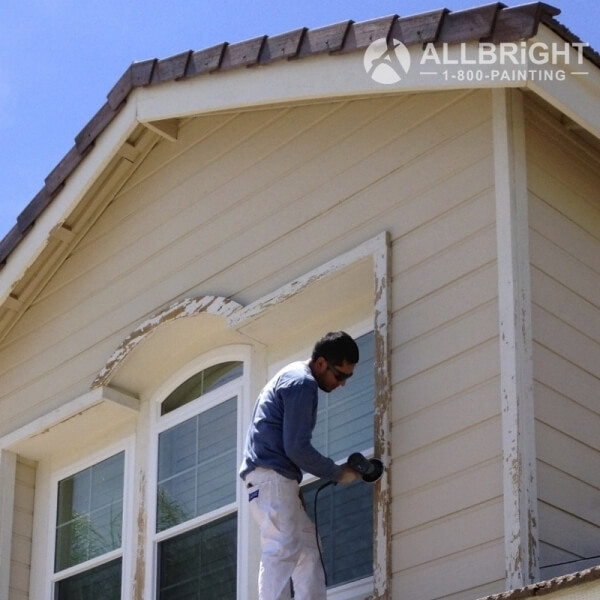 Paint manufacturers may provide longer warranties on their products, but these only cover replacement of the material. Most warranties will have exclusions, so it is important to find out exactly what the contractor’s warranty does and doesn’t cover. Warranties should always be in writing and available for your review. The biggest trick of sneaky contractors is to provide an unrealistically long warranty usually coupled with the “deal of the century.” Other contractors may avoid warranties by not giving you a written copy of the warranty conditions or just adding a line or two in a contractor’s proposal. Make sure to always get your full warranty in writing. Can Your Painting Contractor Answer These Questions? These days, it seems like anyone with a paintbrush and a business card can call themselves a painting contractor. Homeowners who are most likely to be taken in by these unscrupulous “painters” are those who are focused on cost and cost alone. With painting, like anything else in life, you typically get what you pay for. If the painting contractor you are considering cannot answer these ten questions, proceed at your own risk. If they answer all ten satisfactorily, then you know you’ve found a great professional contractor to work with. 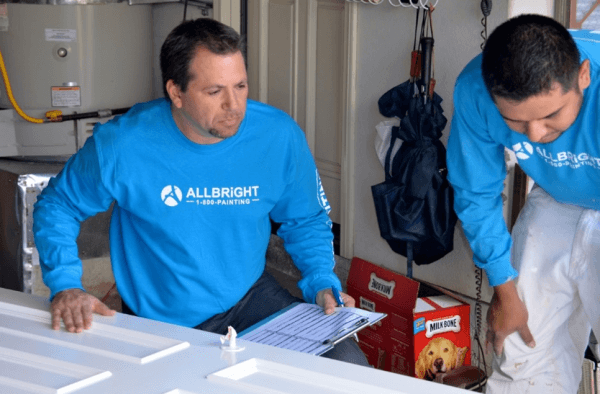 Josh Abramson is the chief solutionist of ALLBRiGHT 1-800-PAINTING, a residential and commercial painting company serving the Greater Los Angeles Area.